Every year people make resolutions, and every year I think about making some, and then I don’t. Maybe it’s because I’m so goal-oriented to begin with that I don’t see the need to set up additional resolutions for myself. But the more I think about it, I realize that while I do a lot, there are things I put aside because of the time and effort it takes to get them done. For example. I write books, but they are presently only available on Amazon. 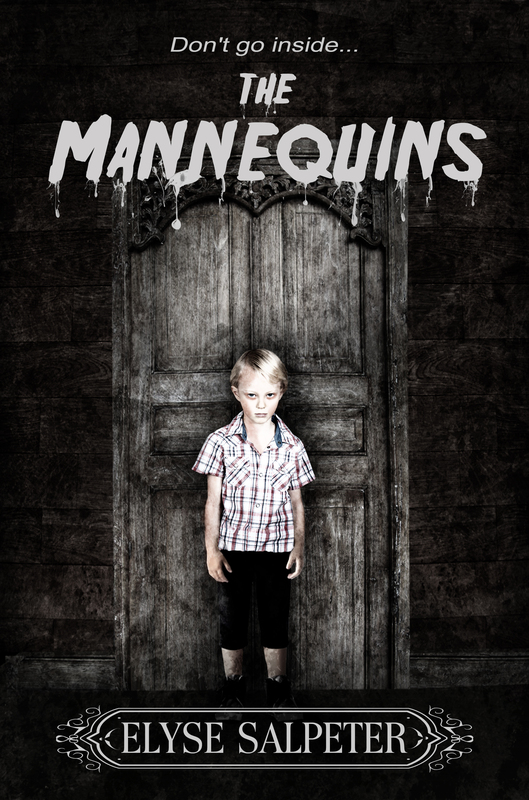 My writing “goal” for next year is to publish another novel in the Kelsey Porter series and put out a horror anthology. My “resolution” is going to be to finally get all my previously published books formatted and put on other platforms besides just Amazon. Another goal I try to do is to socialize as much as I can. I go out with friends, get together for special family occasions, etc. But my resolution this year is going to be to “bring more people together.” I want to throw a few random parties where it’s not because of a holiday or a special event. Maybe I do “Thanksgiving in February” and invite people in the neighborhood I’d love to see more of? Maybe I do a holiday dinner “a week before the actual holiday” so that I can be assured that all the different families are around and not already booked with their immediate family celebrations? My goal has always been to let my children know that they have a wide community of people that care about them. So my resolution this year is going to be to foster stronger ties with those people and create a stronger sense of community with those neighbors and friends I’d love to see more of. My last one is a tricky one. The number one resolution everyone always seems to make is to exercise and eat better. Well, I do that all the time. It’s always something I try to do and with a bad back, it sometimes gets in the way of this goal. My resolution this year is not going to be “I’ll exercise and eat better” but it will be to “not allow my body to dictate my life.” If I need to rest it to heal, I will, if I need to kick myself to get down to the treadmill, I will. In 2015 I’m not going to let my “body” be one of my goals – it will simply be there as part of “me” and my resolution is to not let my limitations dictate how I live my life. 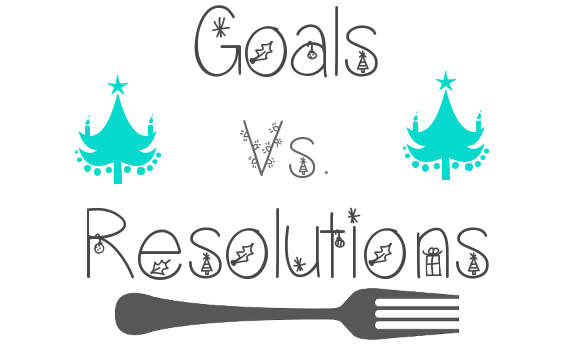 So, do you have goals and resolutions? Do you have things you always say you’re going to do, but don’t? I suggest you think about them differently. Come up with ones other than eating healthy or exercising. Find some new ones that speak to your sense of community, your family, your inner circle and run with them. You may be surprised at what you accomplish. 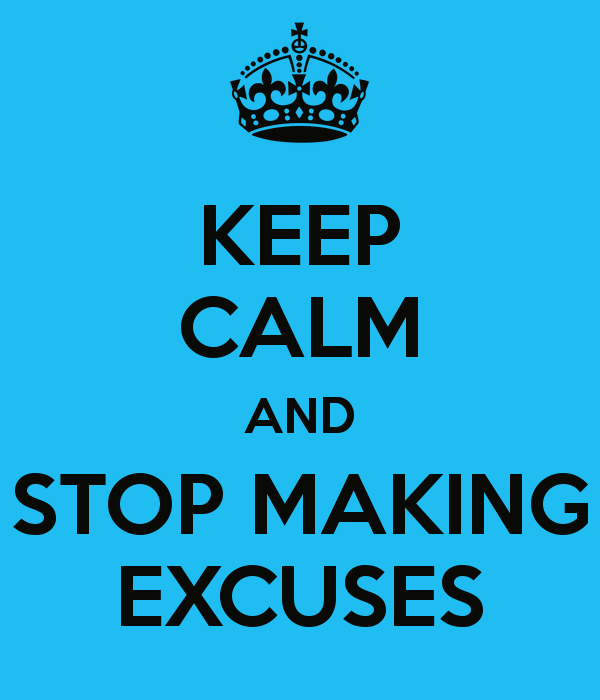 I think the thing is, we have to think about why we’re making an excuse in the first place. Is it avoidance of an issue, plain laziness, or is the effort too much? I’m staring at two piles of papers in my room now. Today I put away 10 pieces of paper from one pile. I know it doesn’t seem like a lot, but I had to figure out WHERE to put those things and while I’m feeling pretty good about it, I realize I have about 100 more papers to go. After I’m done with this post, I think I’ll put a few more away. I think. So, I have a few papers on a pile. Big deal. Maybe it’s not such a bad excuse after all. So tell me, what “chore” do you put aside until you just can’t put it aside any longer? Love to hear!